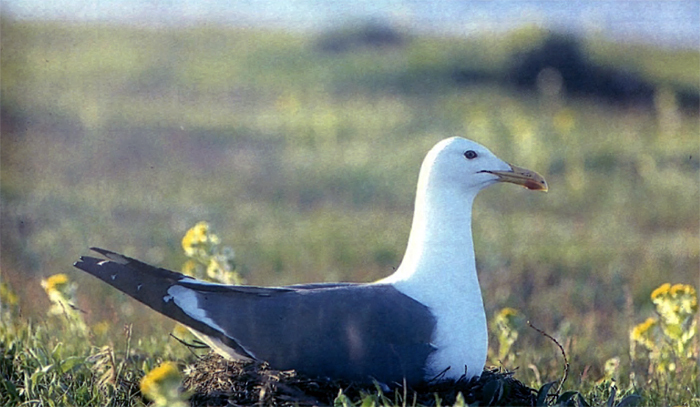 Below you will find a copy of Descriptive update on gull taxonomy: 'West Siberian Gull', by Valery A. Buzun published in British Birds 95 • May 2002 • 216-232. Most of the text below is a copy of that article, but now illustrated with many more birds and figures, and additional data from Dutch samples. "I" in the text below refers to the original author Buzun. If any errors occur in this text, please let me know and mail to marsmuusseatgmaildotcom. 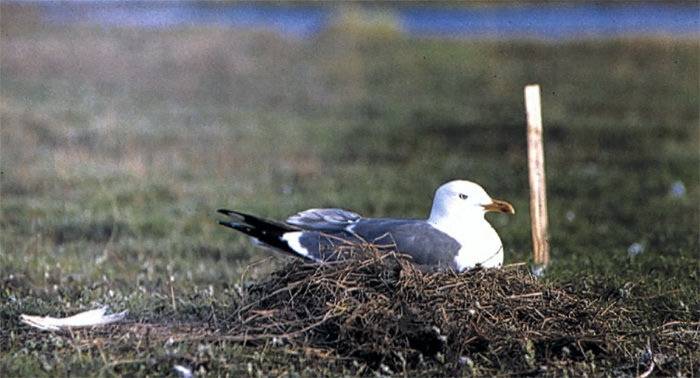 Above and below: nesting 'West Siberian Gulls' Larus heuglini antelius, Russkii Zavorot peninsula, Malozemel'skaya Tundra, Russia, June 1996 (V.A. Buzun). Note how different postures affect the profile and appearance of the birds. 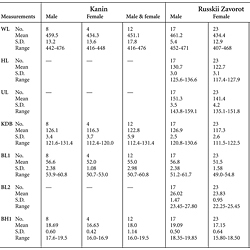 Table 4: Measurements of 'West Siberian Gulls' Larus heuglini antelius, from the Kanin Peninsula, Russkii Zavorot Peninsula and the Gulf of Ob, Russia. The biometric data for antelius from three geographically discrete populations are presented in table 4. It seems that heuglini is the longest-winged form of the Siberian dark-mantled complex. Taking body size as a whole among the dark-mantled gulls, antelius appears to be second largest after heuglini. The average wing length of antelius from the Russkii Zavorot peninsula is probably exceeded only by that of L. [cachinnans?] mongolicus (Piechocki 1968; Firsova & Yudin 1988; but sample sizes extremely small) and L. cachinnans michahellis from the Camargue (Isenmann 1973). Stegmann (1934) gave maximum wing length for antelius of 490 mm, seemingly measured without stretching the wing or correcting for dehydration of the specimens; the same Figure is quoted by Cramp & Simmons (1983). With the exception of bill length and tarsus length, antelius is smaller than heuglini in most measurements. Nevertheless, antelius has a rather small head, with a short skull. The bill is of medium length and depth; for males, the ratio between the two is 2,98 (s.e. = 0.04; n = 17). The legs are relatively long: for males, the mean ratio (MTL/TL) x 100 = 75.1 (s.e. = 0.72; n = 17); for females, mean = 75,7 (s,e. = 0.65; n = 23). The wide variation in the weights of males (7.6%), females (10.9%) and both sexes combined (13.7%) is of note. These coefficients are slightly higher than is the case with, for example, argentatus from Norway (Barth 1967) or Germany (Kuschert 1979). This variation can probably be explained by the changes in fat deposits within the abdominal cavity of antelius during the breeding season. The degree of variation in other biometric characters does not differ from equivalent figures for argentatus. Heuglini 3cy October 07 2011, Ashdod, Israel. Picture: Amir Ben Dov.